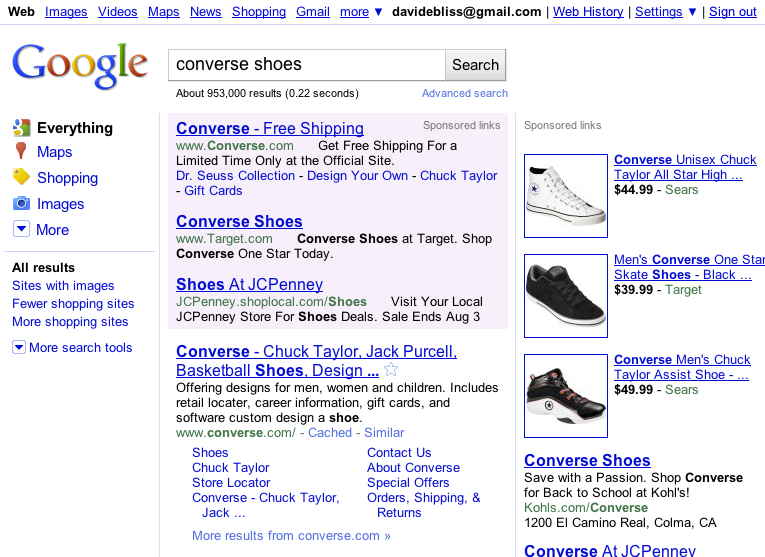 Finally getting around to reading more about the new Google image search and image ads. While an article on TechCrunch mentioned that the ads were only appearing on the image search results pages to start, today I am seeing them on the standard results. For me, images make ad sense more interesting.